Compact version of Bramley's seedling, less vigorous growth but equally heavy cropping. Late season cooking apple producing large apples with a sharp flavour. Superb for sauces, tarts and pies! Rou..
Late season cooking apple with a sharp flavour. Probably the most popular cooker of all! Grown on M26 semi-dwarfing rootstock, good for bush, cordons, espalier and containers. Height and ..
Late season cooking apple with a sharp flavour. Probably the most popular cooker of all. 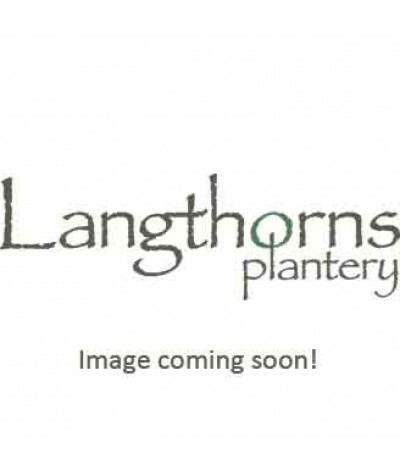 Root stock = m27 producing a tree of no more than 2.5-3m (8ft) ideal for step overs, espaliers, co..
Late season cooking apple producing large apples with a sharp flavour. Superb for sauces, tarts and pies! Route stock number mm106 with a height and spread to around 4m. Flowering group 3. Native c.. Crisp and juicy apple ripening mid to late season. One of the most popular varieties. Self fertile but heavier crops achieved when planted with others. Any fertile well drained soil in full sun Flo.. Crisp and juicy apple ripening mid season with similar fruit to Cox's Orange Pippin. One of the most popular varieties and heavy cropping. Self fertile so only one tree is required. Any fertile wel..
Family tree with 3 apple varieties grafted onto the one stem! Two superb eaters and one cooker. Any fertile well drained soil in full sun. Flowering group 3. 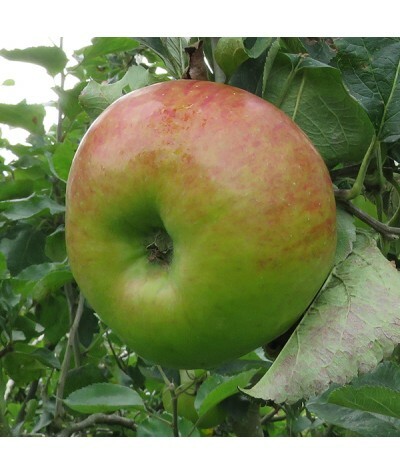 MM106 semi vigorous suitable for all fo..
Family tree with 3 apple varieties grafted onto the one stem! A wonderful selection of 3 delicious eaters . Any fertile well drained soil in full sun. Flowering group 3. MM106 semi vigorous suitabl..